I turn job searches into success stories. 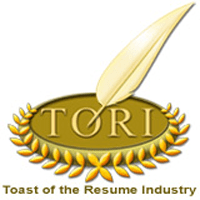 Professional resume writer for 25 years and 8,000+ clients in every field you can name. I have been featured as an expert on CNBC, CNN, MSN, and other national and local media. My work has been published in expert guides to resume writing for military transition and healthcare careers. One of my IT resumes was ranked in the Top 5 worldwide in 2016. And for 15 years, I have optimized LinkedIn profiles (I was an early adopter of the platform, joining as user #289,872 on March 1, 2004). If you need a resume that can win interviews against the most sophisticated competition; that makes obvious the value you can deliver; and that represents you with accuracy and integrity–call me. Similarly, if you have concerns about the complexity of your background or any other issue, I can advise you about a winning strategy. I work with Fortune 500 executives, experienced professionals seeking the next step up, military transitioning to civilian life, and students launching their careers. Let me help write the next chapter of your success story. For a free consultation, contact me through this site or call directly at (619) 316-3439.